The Regent International School (RIS) education extends well beyond the boundaries defined by the curriculum. Our Positive Education philosophy promotes all-round spiritual, moral, cultural, mental and physical development of children and prepares them for the opportunities, responsibilities and experiences of later life. We follow the National Curriculum of England, one of the world’s most sought-after and accepted school curricula. This time-tested, broad and balanced curriculum is underpinned by a strong research-driven curriculum in Mathematics and English, and all the major subjects in the Arts, Sciences and Humanities, and provides students the depth and breadth to obtain a strong educational foundation as well as the ability to pursue a higher education and career of their choice. We deliver an academically rigorous education enriched with a robust and balanced mix of co-curricular, extracurricular and sports activities to promote holistic student development.We are also working to develop our modified curriculum pathways, so that we are better equipped to cater for learners with more complex needs. Inspection indicators show that the quality of education delivered in RIS is ‘Good with Outstanding features’ as rated by KHDA’s 2016-17 DSIB inspection report. With exceptional teachers and school infrastructure, a school ethos based on Positive Education, and a broad curriculum, we deliver a world-class education. Class sizes are restricted to ensure ample opportunity for individual attention, but are also sufficiently large to ensure development of social skills, cultural sensitivity, team and peer learning, and to create healthy competition amongst classmates. As a result, each student gets individual care required as well a creative and intellectually stimulating learning environment. The National Curriculum is divided into several phases called “Key Stages”. 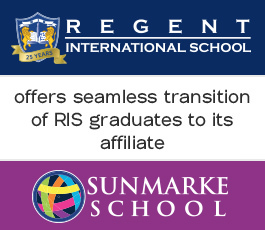 Note: students graduating from RIS have automatic entry to the secondary phase of RIS’ affiliate, Sunmarke School, located five minutes from RIS. We take great pride in our concept of MultiSmart Learning™, a unique and unparalleled programme developed by our pedagogical experts. This high impact programme focuses on every child individually, nurturing and unlocking multiple pathways to learning, developing multiple intelligences, and contributing significantly in his overall progress. At RIS, technology is integrated in all aspects of learning. 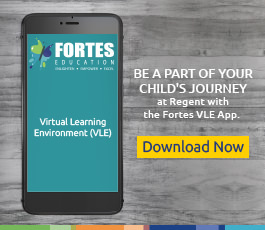 Besides the requisite facilities such as interactive smart boards in every classroom, Bring your Own Device (BYOD) programme, a secure Wi-Fi network, the school has a Virtual Learning Environment where homework, notifications, schedules, student-teacher-and-parent communication, and more are all delivered online. The school also has an extensive e-library where students can access range of software, educational titles, and thousands of e-books to extend their learning. Along with the academics, the curriculum also focuses on developing the personal aspects of a student’s life via the Education in Human Values programme wherein students learn compassion, kindness and charity through volunteering and social awareness activities. Developed with an aim to build character and integrity in students, this programme is designed to enable students to become not only successful professionals but also model citizens.